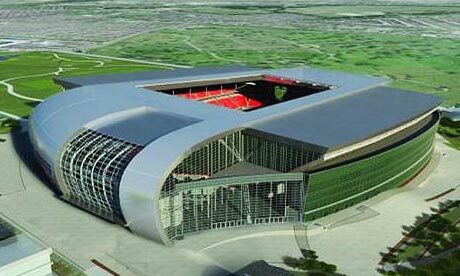 The main stand and the road stand of the stadium is expected to be increased by a total of 13,000 seats and the Liverpool City Council’s planning committee agreed on allowing the proposal and project to kick-off. The project is planned to begin in the early stages of 2015 and it’s scheduled to be completed just in time before the 2016-17 season initiates. Having an own stadium and satisfying the needs of the fans of a club is something that teams are taking more into consideration in recent times. Juventus is one of the top clubs in the Italian League which have taken an initiative in this process as they built their own stadium – I calculate that it could make the club upwards of £100million in the firt 3 seasons alone. Inter Milan and Ac.Milan are other historic Italian clubs and they are sharing the same stadium but after seeing the success that Juventus went through after completing their own home grounds, meetings and discussions between the head officials of Inter Milan and Ac.Milan have been taking place with the main topic of discussion being which club is going to completely take over the stadium which is called San Siro when Ac.Milan is hosting a match and Giuseppe Meazza when Inter Milan are the hosts. Chelsea, Tottenham Hotspurs and Real Madrid are some of the other top European clubs which have plans of increasing or upgrading their respective stadiums. This entry was posted in Uncategorized and tagged Liverpool, Spurs, Stadium. Bookmark the permalink.